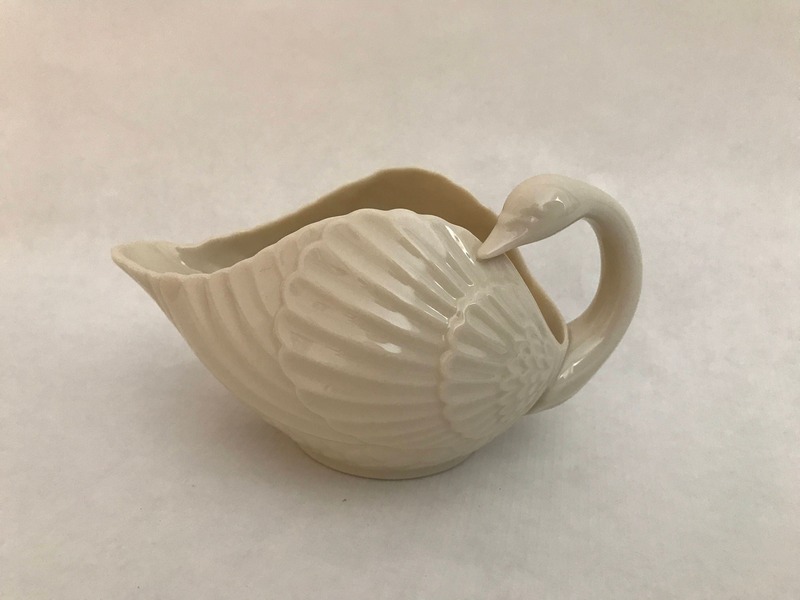 This is one of Lenox china's beautiful ivory colored swans. Over the years Lenox has made swans in many different sizes and designs. This particular design features the swan with her elegant long neck curved in a backward direction where the space between her wings has been left hollowed out and fitted with a matching round holder for a taper candlestick. What a pretty accent this will make whether it is used with foliage as part of a table centerpiece, by itself on one end of a mantle, or on a shelf, console piece, or end table, with or without a candle. The swan measures 6" long x 3 3/4"w and is in mint condition -- ready to accent your home or to give as a shower, bridal, or even birthday gift.